With compassion. This phrase evoked such a bombastic, self-assured character it made me laugh out loud. However, if you’re dead set on comedy, that’s too bad. Because by the next page, Jack Talas is a corpse, found floating in the Mediterranean with cuttlefish eggs in his eyelashes. 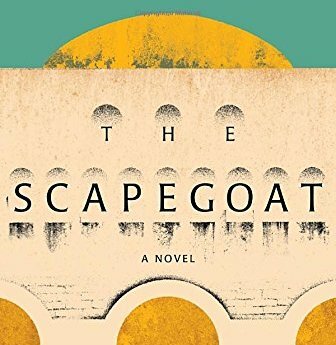 The Scapegoat is based on the murder of CBS reporter George Polk, who, like his fictional double Talas, was in Greece in 1948 to expose the government’s corrupted use of American aid relief. Talas makes enemies of everyone: the government, the communists, and even the Americans. But it is a fellow journalist, named Manolis Gris, who is accused of murdering Talas. However, the forces behind Gris’s indictment reach far beyond Gris himself.